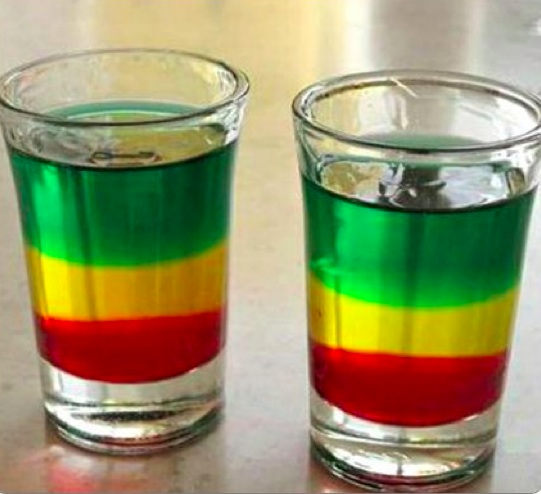 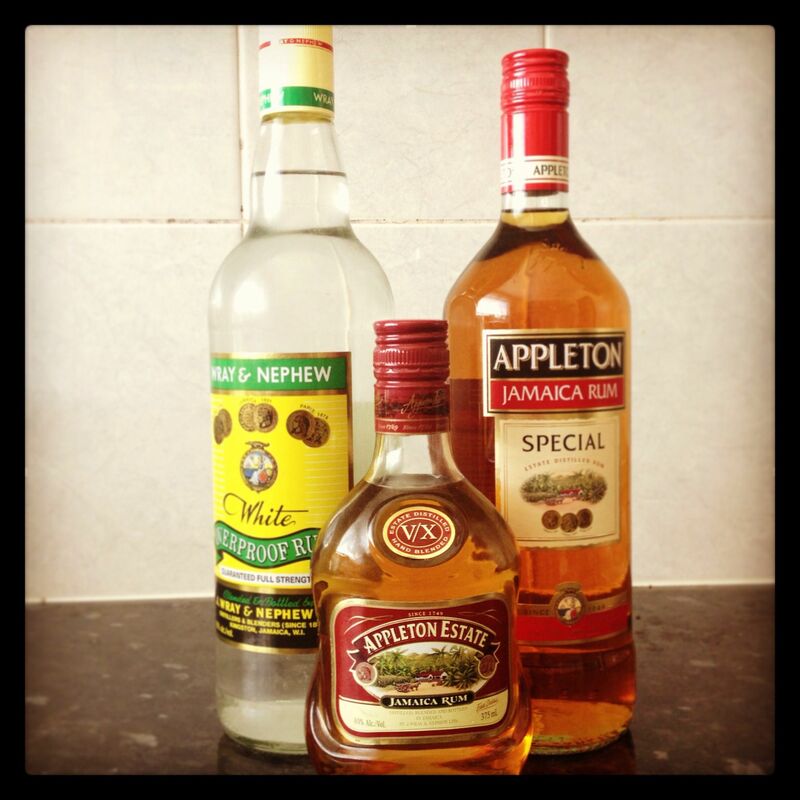 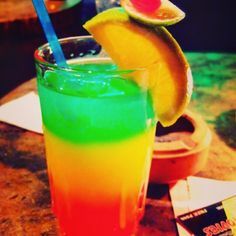 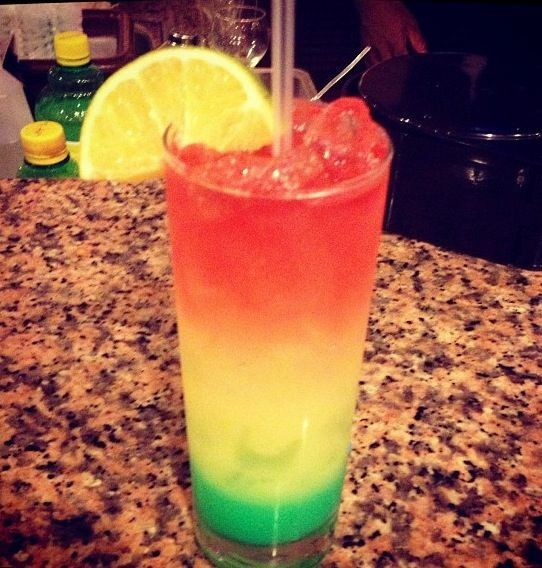 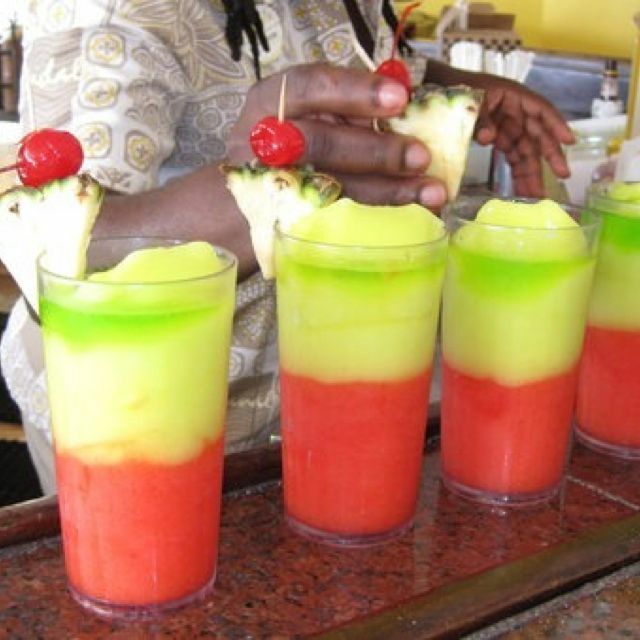 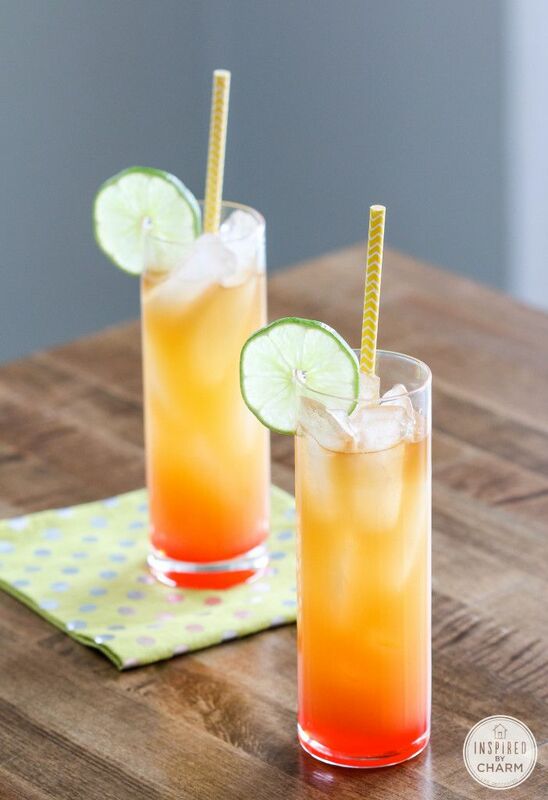 Jamaican inspired layered rum drink. 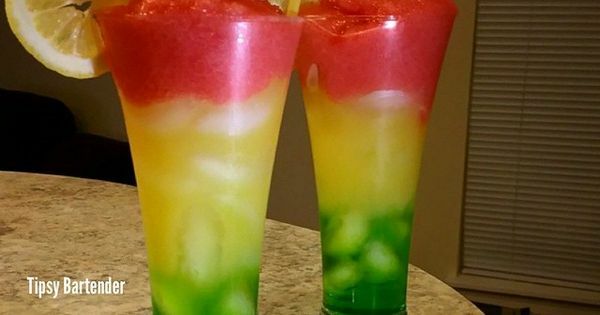 I'm thinking Midori on bottom, middle coconut rum and pineapple, and the top could be grenadine shaken with pineapple and poured on top. 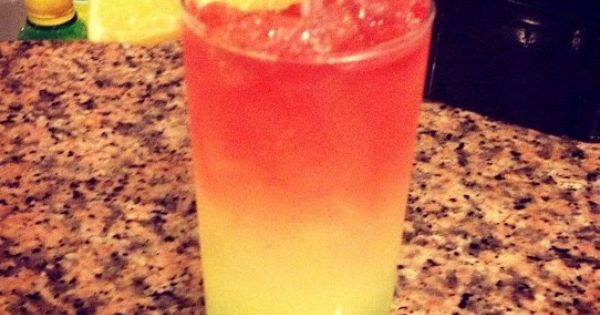 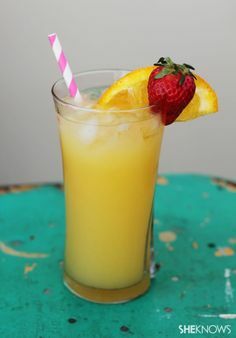 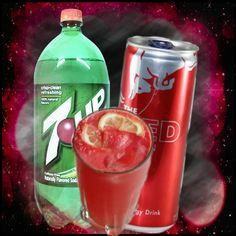 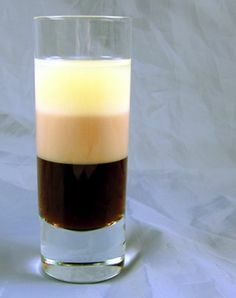 It will make it a nice layered drink while keeping the flavors simple and tropical.